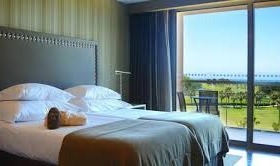 Located between the beaches of Portimão and the Monchique mountains, and nestling in a valley between two golf courses, the Morgado Golf & Country Club hotel features 98 rooms with balconies and terraces offering extensive views over the golf courses. The rooms are decorated in a modern style with great attention to detail and various touches of luxury that transmits a feeling of comfortable elegance. Golfers of all levels are sure to feel at home here. The Golf Academy at the Clubhouse has everything you need to help you fine tune your strokes, including private or group lessons. The non-player in your party, and golfers who plan on relaxing between rounds, will enjoy the Morgado Golf & Country Club’s four swimming pools (two for children), a bar and a restaurant. And there is plenty to keep you busy off the course too. From the renowned beaches of Portimão to the natural beauty of the Monchique Mountains, there is plenty to see and enjoy. Decorated in modern style with great attention to detail and various touches of luxury that impart a feeling of comfortable elegance, all the rooms offer fabulous views over the Morgado Golf Course. For your comfort, they are equipped with an LCD-screen TV with satellite channels, air conditioning, central heating, safe, minibar, telephone, hairdryer. 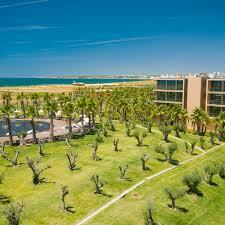 The CS Salgados Golf Course is located near Albufeira, Portugal within a protected, Natural Wildlife Reserve. This setting provides golfers with a unique experience, since the course gives shelter, water and food to a number of bird species, some of them nearly extinct. 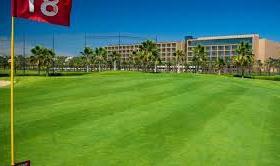 The beach is within walking distance and the sea view from the course adds to this scenic golfing experience. 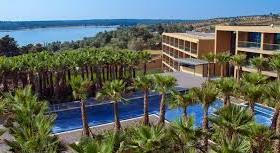 The Salgados Golf Course is part of an enclosed, self-contained resort that features a comprehensive range of leisure facilities that include Health Club and SPA, indoor swimming pool, tennis, Kids Club,7 outdoor pools and 2 restaurants. 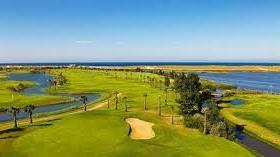 Set in a valley in the inner Algarve, between Portimão and Monchique, Morgado Golf course is a challenge both for those taking their first steps in golf as for the more experienced player, who would like to test his technique. The scorecard shows a PAR 73, but the course path length is attenuated by the generous width of fairways. However, less accurate strokes may be penalized by the action of one of several bunkers spread across the field. We can say that the Morgado Golf is a course with the characteristics of a links – with flat fairways and Scottish inspiration bunkers – but instead of being close to the shore as traditional links, it is inserted into an area of parkland. Surrounded by the region traditional tree species, the player who visits Morgado Golf contacts with a different Algarve, calm and serene, providing the perfect setting for a memorable round. 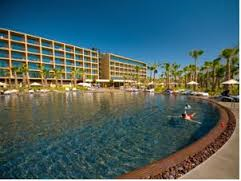 All inclusive and Half Board Options are available – please ask!